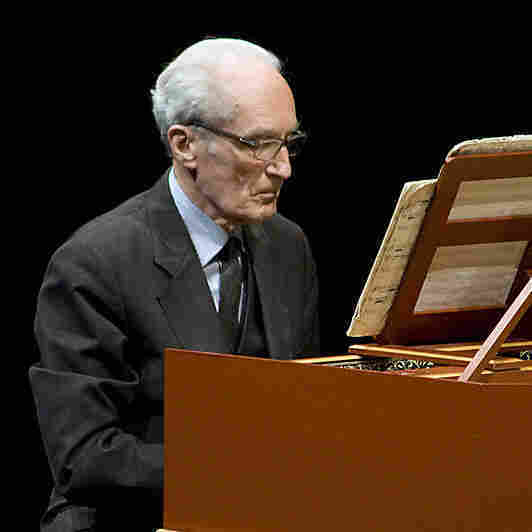 Keyboardist, Baroque Master Gustav Leonhardt Dies at 83 : Deceptive Cadence The Dutch artist was a hugely influential conductor, harpsichordist, organist and one of the grandfathers of today's early music movement. Gustav Leonhardt at the MAfestival in Brugge, Belgium in 2007. 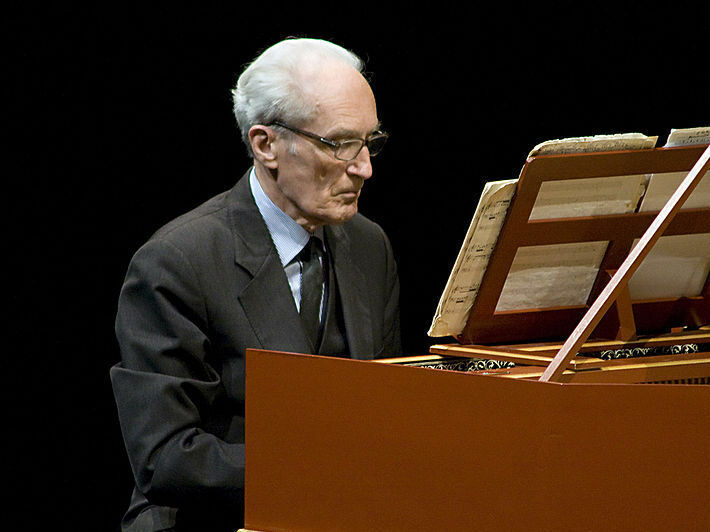 One of the most influential and widely hailed figures in the modern early music movement, conductor, harpsichordist and organist Gustav Leonhardt, has died at 83. Just a month ago, after a concert at Paris' Théâtre des Bouffes du Nord, Leonhardt abruptly announced that he had just given his last public performance. According to Dutch press reports, he died yesterday in Amsterdam, though the cause of death was not released. Leonhardt was one of the premier shapers of modern understandings of Johann Sebastian Bach's music. Along with his colleague Nikolaus Harnoncourt, Leonhardt created a landmark first recording cycle of all of Bach's cantatas played on original instruments, a project that took nearly 20 years to complete. Beginning in 1971, Leonhardt and Harnoncourt split up the 200-plus cantatas written by Bach between their two ensembles. As a conductor, Leonhardt also recorded some of Bach's other major choral works, including the St. Matthew Passion and the Mass in B minor. Leonhardt was born in the northwestern Dutch village of 's-Graveland in 1928. He began studying organ and harpsichord at the famed Schola Cantorum Basiliensis in Basel, Switzerland, in 1947 before going on to teach at Vienna's Academy of Music and then at the Amsterdam Conservatory in the early 1950s. It was also during this period that he began recording Bach's music. In 1953, he recorded both the Goldberg Variations and The Art Of Fugue, a year after publishing an article that argued the unfinished latter work, whose instrumentation is not noted in the score, was intended for keyboard. The following year, he led a groundbreaking recording of two Bach cantatas with his own Leonhardt Baroque Ensemble. The members included his wife Marie as one of the violinists, Harnoncourt playing cello and the pioneering English countertenor Alfred Deller. As a keyboard player, Leonhardt recorded the Goldberg Variations three times and most of Bach's other keyboard music at least once, if not twice. But his repertoire, while centered on Baroque music, extended in both directions to composers such as William Byrd and Mozart. Leonhardt had a massive influence on the succeeding generations of early music practitioners. His own students form a true "who's who" within this community, including such artists as Philippe Herreweghe, Ton Koopman, Christopher Hogwood, Alan Curtis, Richard Egarr and Andreas Staier.